John G. Quay passed peacefully into God’s hands at home with his daughter by his side on July 24, 2017. He was born in Williamsport on August 2, 1925, a son of Susan L. (Flowers) and William P. Quay. He was a 1944 graduate of Williamsport High School. He studied electronics at Williamsport Technical Institute. 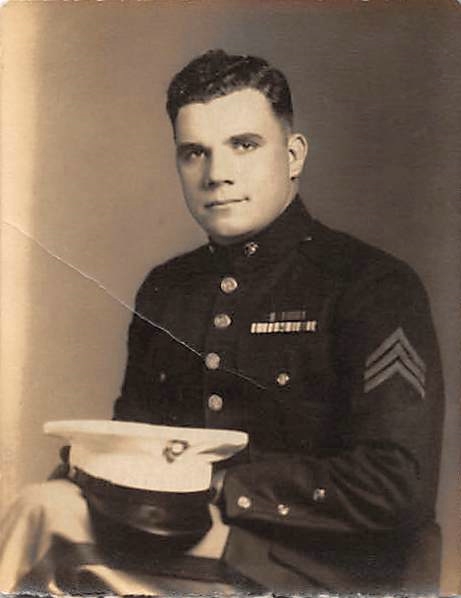 John proudly served with the U.S. Marine Corps and was a World War II combat veteran serving in the Pacific Theater, and was called back into service during the Korean Conflict. He married the former Lois M. Lee on May 14, 1949; they celebrated 64 years of marriage prior to her death on June 13, 2012. John was a pioneer in the cable television industry. He built the television cable system in Williamsport and he served as chief engineer until his retirement in 1990. He was a member of the South Williamsport Lions Club for 38 years and also a member of the Veterans of Foreign Wars, the American Legion and the Travelers Protective Association. John was a lifetime member of Christ Episcopal Church. In addition to his parents and his wife, a son, John W. Quay, one brother and four sisters preceded him in death. Surviving are his daughter, Adria Quay Thackeray (Brett); sister, Bonita Richards; brother-in-law, George Metz; grandson, Matthew Lovell (Robin); great grandchildren, Deinera and Jack Lovell, Megan Shaffer (Zach), Staci, Breanna and Jenna Rotoli; great-great grandchildren, Sophea Shaffer and Antonio Ortega Ramos; and many nieces and nephews. A memorial service will take place 11 a.m. on August 19, 2017, at Christ Episcopal Church, 426 Mulberry St., Williamsport, with Rector Veronica Chappell officiating. “Pop” was a true gentleman, a prankster and he loved a good joke. He was delighted to celebrate the holidays and picnics with his extended family. He will be sadly missed and fondly remembered. Crouse Funeral home has been entrusted with the arrangements.